How to enable the Hotspot and Tethering on Sprint Galaxy S4? 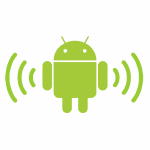 Xda user crawrj has posted a method that allows you to do just this. The MOD that he developed will enable this on your Galaxy S4. Before you install it, you need to have a Custom Recovery or you can install using a File Manager or ADB method if your device is rooted. Hotspot and Tethering are not allowed on the Sprint or usually any carrier branded version of the Galaxy S4 and that’s why you need to use a developer’s MOD to do this. You can go and visit the original thread on Xda forum here and choose the installation files that are suited for you and the method that you like. You will see that there are 4 MODs available for download. Two of them are for the MDL firmware and 2 are for the MDC firmware, both the ODEXED and DEODEXED (Which is not yet available) versions of the ROM. Then you can take a look at the installation methods and pick the one that you are the most comfortable with. If you have a Custom Recovery installed already you should use it.